Description: Do not worry; a little bit of foundation will cover up that unsightly.. um.. blemish. Fortunately the color custom Top Hat and shawl will help distract onlookers. Bandana and hat are Color Custom to Accessory Color. 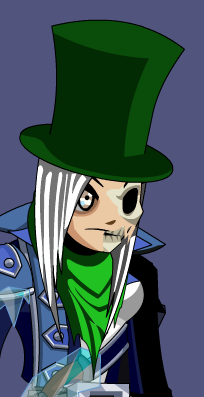 Zombie Top Hat (missing jaw). List of all Top Hats. Thanks to Glendolf, mrsturf and Perished.